In this episode, I had the pleasure of speaking with Brooke Fox, a student of Environmental Science; mother navigating the Indiana school system with a high ability, gifted child; and recovering expat still amazed at the shock and adjustment of repatriation three years later. Brooke repatriated with her very British husband from London to Indianapolis, Indiana in 2015 and their adjustment was, as she says, "a rocky road" in some ways. 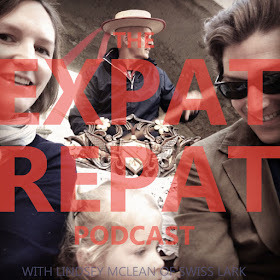 Brooke was so lovely to talk with because she wasn't afraid to get into the grey areas that accompany life as an expat or repat. She is fully aware of and grateful for the wonderful parts about her life in Indianapolis; yet she is aware of what's lacking and what was better in the UK. Still, she manages to be positive and embrace the present. I think you'll really love hearing her story. Please listen on iTunes or wherever you find your podcasts, or on the listener below. And if you like what you hear, don't forget to share with your friends, subscribe, and leave us a review! Thank you.